Our 30 day Kickstarter campaign ended today. The goal was to reach 60 retail customers in advance by taking crab orders at lower than retail price. The thought was that this would give a critical mass to justify the start-up costs of setting up a shipping system. We know shipping is expensive so that is a detriment to these sales. The campaign ended with just 5 pledges. I obviously have more to learn about these campaigns. Meanwhile, however, we put a massive wholesale sales system in place and are working on an alternate retail distribution method using a food truck. The next retail project we try is likely to be an online auction system to price and allocate crabs during periods of peak demand like holiday weekends. Crab season officially ends tomorrow but I closed down the sales web site because we don’t expect any orders today. The crabs are still out there but only a few crab boats are in the water. They will leave the dock within the next few days. The marina remains open until the end of the month for striper fishing. 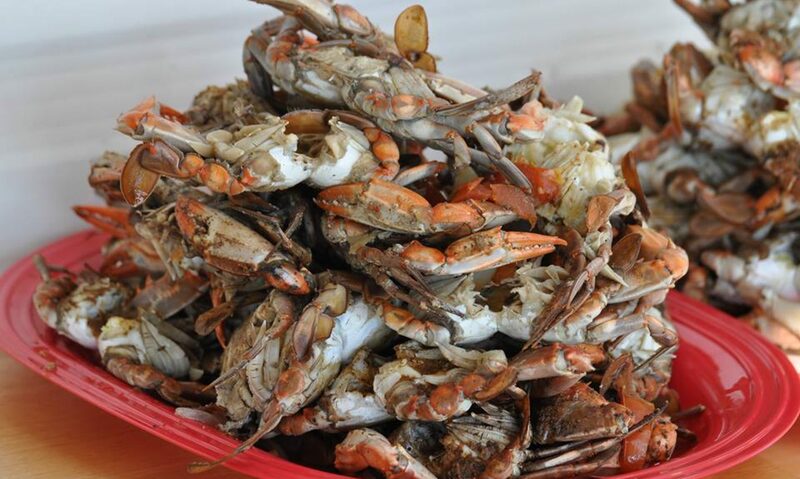 The crab business will open again next spring on March 15. We look forward to welcoming a new marina manager, several new harvesters, and new restaurant and wholesale buyers. We have physical expansions planned over the winter with a mobile cooler unit and walk-in freezer. We will continue to enjoy our own frozen soft and hard shell crabs but we don’t have permits to sell them commercially in this form yet. Next season frozen crabs will be available commercially through another company.